Patricia White Buffalo B.S. Patricia combines her Shamanic tradition and her deep connection with the Earth with her professional training as a teacher, therapist, energy practitioner and musician to guide and heal others for personal and planetary transformation. Patricia began with traditional training at San Jose State University in Psychology, and then trained in Hands-on Healing and Transpersonal Psychology with the Barbara Brennan School of Healing. She’s also a graduate of The Center for Intentional Living training in Early Childhood Development, and The Core Energetic Institute specializing in body-psycho-therapy. In addition, as memeber of Siddha Yoga for 24 years she shares her devotional practice of divine worshiping (Bhakti) in the form of chanting (Kirtan) in all her work. 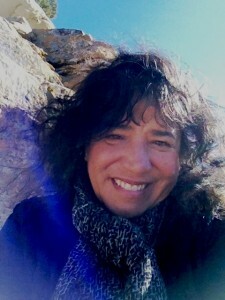 Patricia also brings her love of music and its power to heal to her Shamanic Sound-Journey Healing Events. As a musician playing the Native American drum, rattle and flute and a chanter of ancient indigence sounds, to induce trance somatic states for healing and transformation. She has also produced a CD titled, “Journey With Me,” featuring Shamanic guided journeys. Patricia’s 26 years of professional experience have included: a private practice, a teacher and Assistant Dean for the Barbara Brennan School of Healing, a facilitator of Shamanic retreats and workshops, and a teacher for healing programs internationally. She currently is the founder and director of, “Walking the Shaman’s Path”, a Personal Transformational and Shamanic Training Program. A unique and extensive 3-year training program specializing in the utilization of her own perceptive blend of Shamanic and hands-on-healing techniques with the teachings of “The Wheel of Awakening,” her complete model for personal transformation and SELF realization.